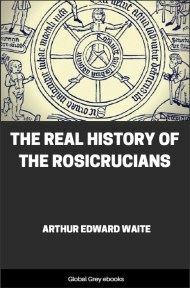 A really interesting book about Freemasonry, covering pretty much everything you could possibly want to know about the rituals, the first three degrees, the mysteries (such as the letter 'G'), the legend of Hiram Abiff, and much more. Other subjects covered include, The Emblems, The Trowel, The Two Great Pillars, Working Tools Of An Entered Apprentice, The Apron, The Hoodwink, and, The Petition For Membership. In the days before 1717, when the first Grand Lodge of modern Speculative Freemasonry was organised, the First Degree—it was called the "Apprentice's Part" then—must have been a less elaborate ceremony than it is now. 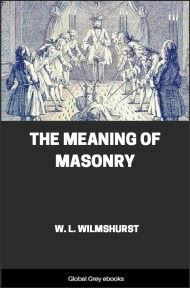 In Scotland one Mason could, and often did, make another merely by communicating the "Mason's word." (What it was we do not know now.) In England the ceremony was richer than this, but even so was doubtless very bald as compared with the work as we of the twentieth century have come to know it. 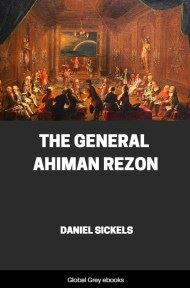 There are many scholars who believe that the old Freemasonry of Ireland was more complete than that of England (by this fact they help to explain the famous so-called "schism," and which was "healed over" in 1813), but even if it was it could not have compared with the ritual of to-day which has grown to such proportions as would require a man years of study in order to master its history and meaning. It appears that the great revival of Freemasonry which occurred in 1717, and out of which grew the first Grand Lodge mentioned above, was in reality a very complete reorganisation of Freemasonry, though it may well be that no such radical changes were made as some of our more extreme scholars have believed. 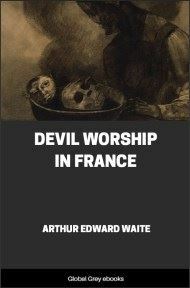 The Fraternity prior to that date had become very much demoralised and divided; lodges had lost touch with each other; and many Masons had no understanding at all of the meaning of the ceremonies they performed. After the Fraternity began to make a new start a centre was established about which Masons could rally and to which they could all furnish their own traditions and records. In consequence of this it seems that the ritual grew with such rapidity that after a few years it became necessary to fabricate more degrees. What had been the First was divided into the new First and the new Second; what had been the Third was continued as such, though much amplified. This division was completed by 1738, since which time and by the addition of Preston's lectures, etc., the machinery of the degrees has reached its present perfection. 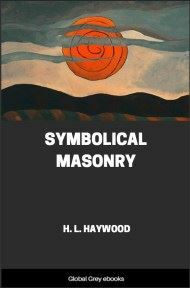 "The meeting was opened with prayer—the legendary history of the Craft was then read—then the candidate was led forward and instructed to place his hand on the Volume of the Sacred Law, which was held by one of the 'Seniors,' while the articles binding on all Masons alike were read, at the conclusion of which a brief obligation was imposed upon the candidate, all present joining in it; then followed the special charges for an apprentice, concluding with a longer obligation by which the candidate specially bound himself to secrecy with regard to what was about to be communicated to him; then the secrets, whatever they were (modes of recognition), were entrusted to him, and the proceedings terminated." The Apprentice was a learner in those old days; he is a learner still. The word itself is found in many languages: "apprenti" in French; "apprendenti" in Italian; "Lehrling" in German; etc. : but whatever its form it means, at bottom, a "learner." Being a learner he is said to be in the Porch, and his Apprentice Lodge is said symbolically to be in the Porch of King Solomon's Temple. 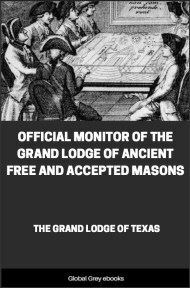 Time was when all business was transacted in a lodge on the First Degree, but now the Apprentice is not considered a full member of a lodge, and is not entitled to vote, to hold office, to walk in a funeral procession, or to receive Masonic burial, though it is true that Grand Jurisdictions differ somewhat among themselves in these last-mentioned details. In a symbolical sense the Apprentice may be likened to a human embryo about to be born into a new world; he does not have power over himself, and he does not know anything about the new life upon which he is entering, and therefore it is necessary that he follow his guides with implicit and unquestioning obedience, for not otherwise can he advance a step.